Hermitage Condo with Boatslip – Okaloosa Island – SOLD in One Day! SOLD in ONE DAY! 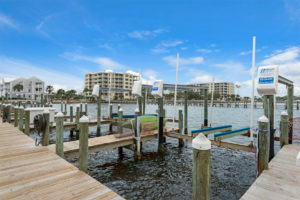 Hermitage condo on Okaloosa Island with boat slip! 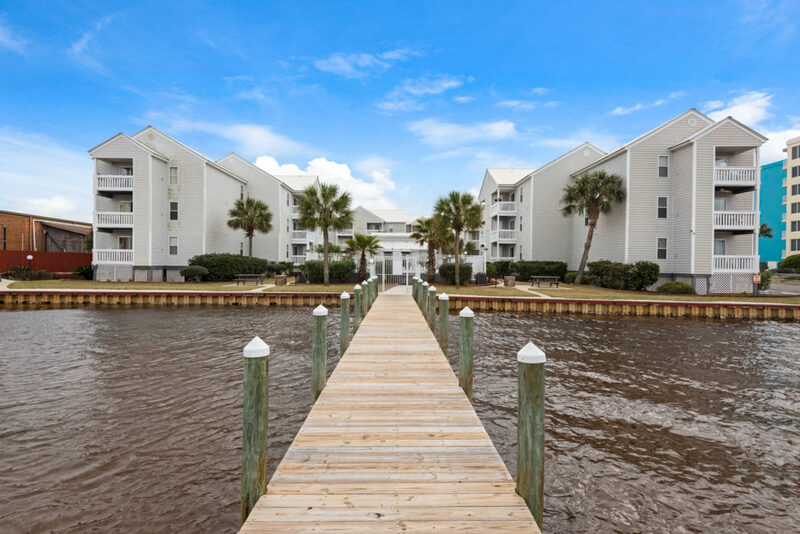 This darling remodeled condo had a view of the Choctawhatchee Bay and rare boat slip, listed at a thrilling price of $219,000! The buyers lined up to see this property and it was sold overnight! A boat-owner treasure, the Hermitage also has parking lot spots available for boat trailers and a long, beautiful pier with a limited number of slips. 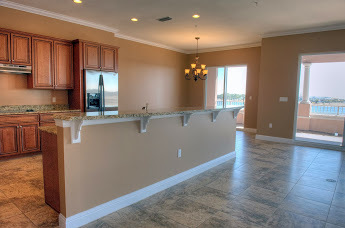 This upgraded Hermitage condo on Okaloosa Island in Fort Walton Beach had solid surface flooring throughout. 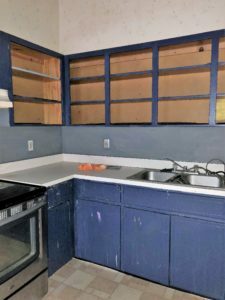 It was remodeled in 2017 with updated doors, hardware, and paint. Also new were the refrigerator, dishwasher, stove and fanciful bathroom vanities. 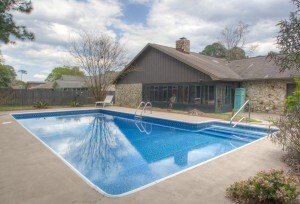 The Hermitage has a pool and gorgeous grounds. There is assigned parking and plentiful spots for guests. The private pier was rebuilt to new in 2016. There is a view of Emerald Grande to watch the Fireworks Display. This is a waterfront fishing angler treasure! Watch the virtual tour of 1330 Miracle Strip Parkway. What do you need to sell? Fort Walton Beach Short Sale Yorktown at Willow Bend – 6 Offers in 1 Day! 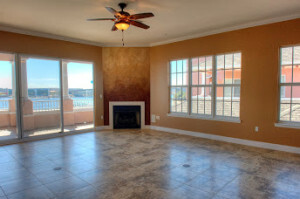 This home in Yorktown at Willow Bend in Fort Walton Beach Florida just went under contract! 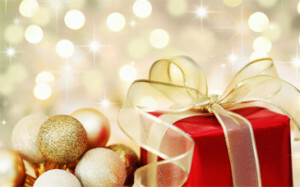 A VA Compromise Sale, it received six offers in one day! Why? The price was right, listed at $90,000, and the property was in poor condition. What? Why would a home in poor condition receive six offers in one day? 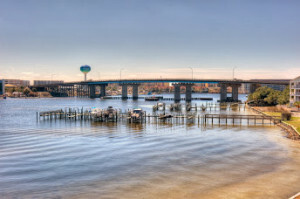 Our current market on the Emerald Coast is thriving. Investors are looking for “handyman special” homes (i.e. “fixer uppers”) to remodel and rent out, or flip – meaning make repairs and re-sell to make a profit. 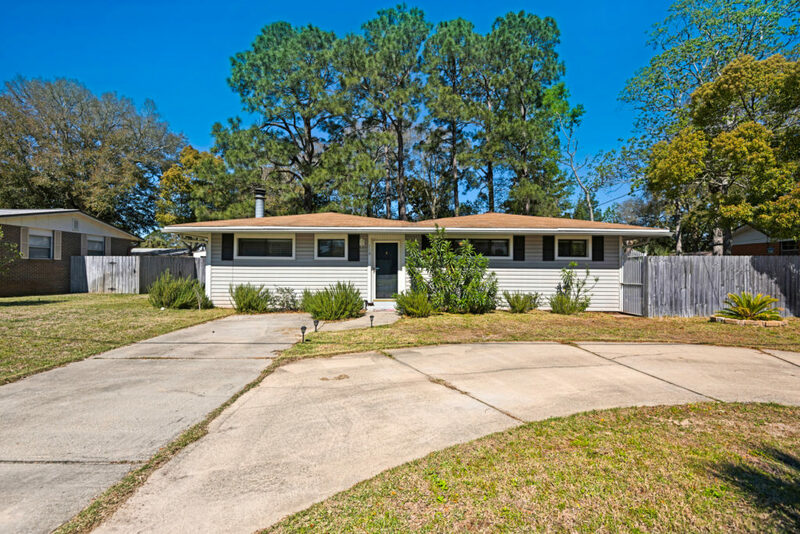 Typical homes in this Yorktown at Willow Bend neighborhood near Eglin Air Force Base sell in the $150’s. The average months of housing supply is about two months, signifying that it would take two months to sell the current inventory at the current rate of sales. That is a “fast” market and is considered a “seller’s market”. There have been ten sales in the Willow Bend neighborhood in the last 180 days. 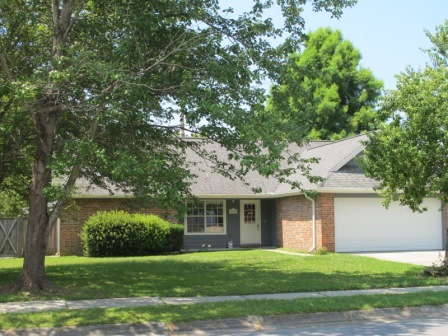 This neighborhood is popular with Eglin Air Force Base service members and investors who rent to them. If you are considering short sale to avoid foreclosure anywhere on the Emerald Coast, give me a call. 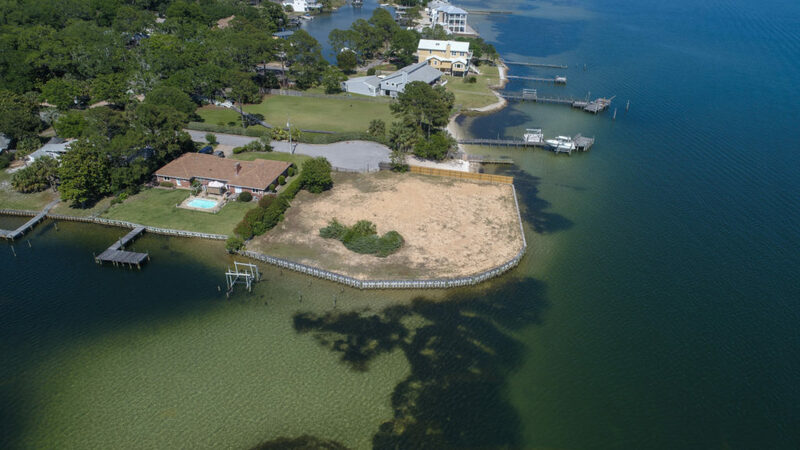 208 Hood Ave SE, Fort Walton Beach Florida is a spectacular waterfront lot. 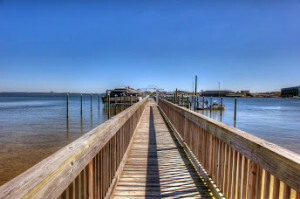 Located in the well-established Brooks Street neighborhood, this peninsula-shaped lot is one of the most unique waterfront finds on the market. The half-acre lot is fully fenced for privacy and mostly cleared. There is a new 6′ seawall and fence. A new survey is being provided to purchaser. This lot with breathtaking views makes a statement and will showcase your new dream home. 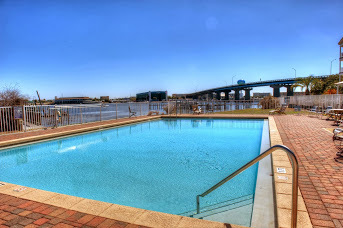 Imagine the views of the Brooks Bridge and up and down the intracoastal. Fish, boat and sun while enjoying the wind in your hair. 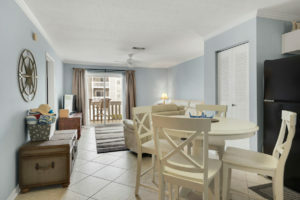 Minutes to Destin Florida, Okaloosa Island beaches, shopping and dining. Watch the drone video below. 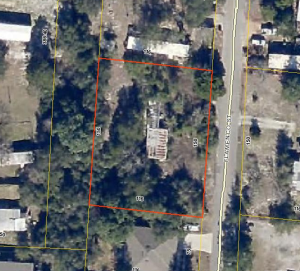 Large building lot West of Hurlburt Field at 5 Flamenco Street, Mary Esther Florida. 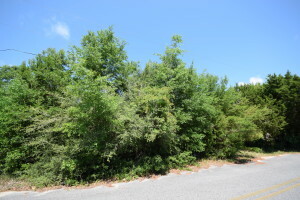 This almost half-acre cul-de-sac parcel is wide and flat with a buffer of county owned land behind it for more privacy for your new home. Attention builders! This lot can potentially be subdivided for two homes. It’s also zoned for multi-family use, including town homes. Minutes away you will find Eglin Force Base, Fort Walton Beach and Emerald Coast beaches. 5 Flamenco Street, Mary Esther Florida is offered for sale for $39,900. 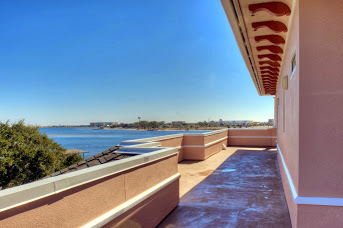 See yourself in the penthouse Villa di Mare condominium, 240 SE Brooks St., Unit E401, in Fort Walton Beach Florida near the Brooks Bridge with boat slip. 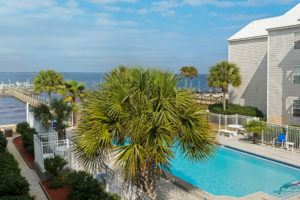 Soak in the stunning water views of the Choctawhatchee Bay. 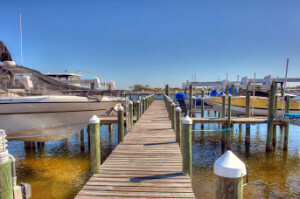 Boat out to Crab Island or the Gulf of Mexico from your 16 x 40 boat slip on the private pier. 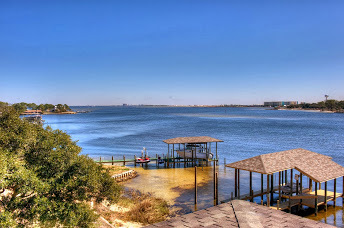 Enjoy waterfront living and boating lifestyle with amazing vistas of the Destin Bridge and the Fort Walton Bridge. 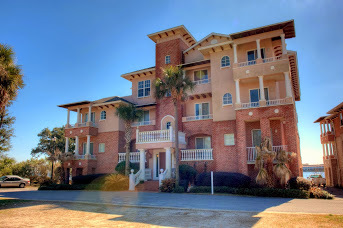 The Villa di Mare condo complex is of dramatic Mediterranean design. There is an elevator with your personal code to bring you directly to your private entry. 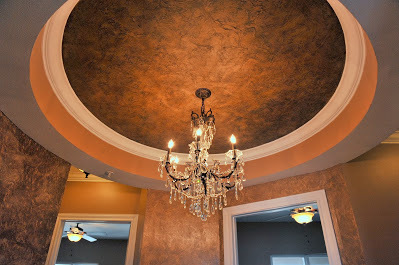 An elegant circular foyer featuring a Mediterranean-themed mosaic tile floor inlay and a trey ceiling with a crystal chandelier and artistic marbleized finished walls and ceiling greet you with warmth. This Villa di Mare penthouse condo has an abundance of sliding glass doors leading to the balconies with bay views, and each bedroom offers balcony access. 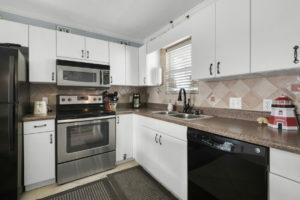 This condominium has 3 bedrooms, 3 full baths, and a powder room. 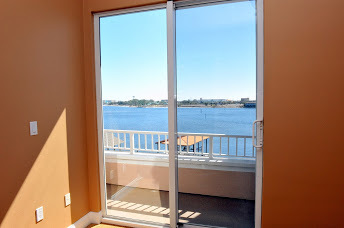 The amazing waterfront master suite has a sitting area and an extra-large closet. A separate office is in the front of the unit with a small balcony. This unit boasts ten-foot ceiling throughout with crown molding in the main living areas. 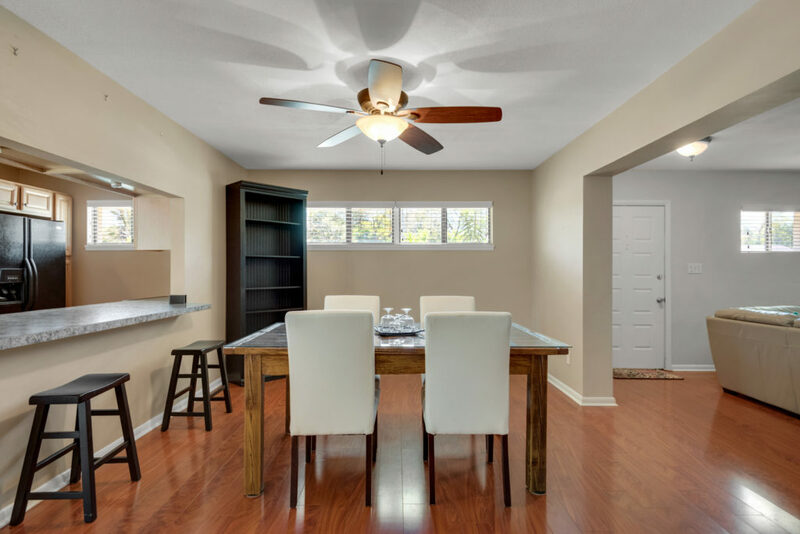 Beautiful chandeliers accentuate the foyer, dining room and master bath, and ceiling fans are in every room. 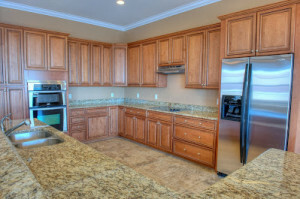 The kitchen has plentiful cabinets, granite counter tops and stainless steel appliances. 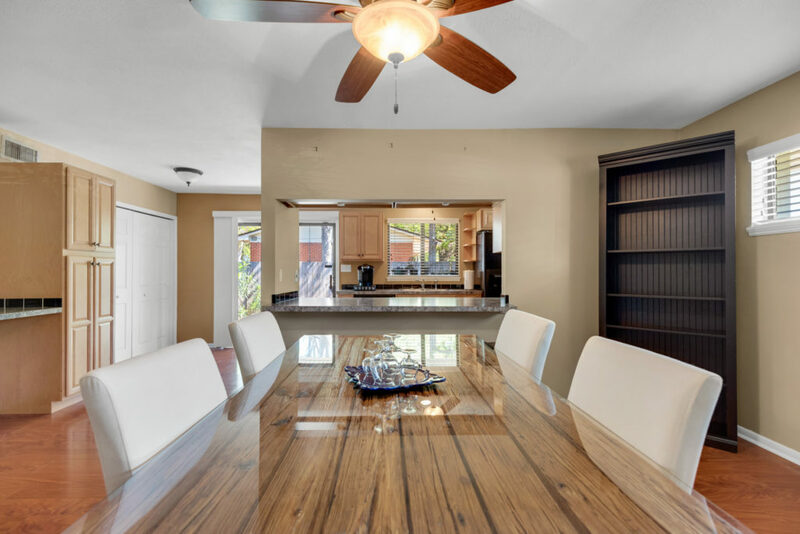 It is open to the living room and dining area for fabulous entertaining. 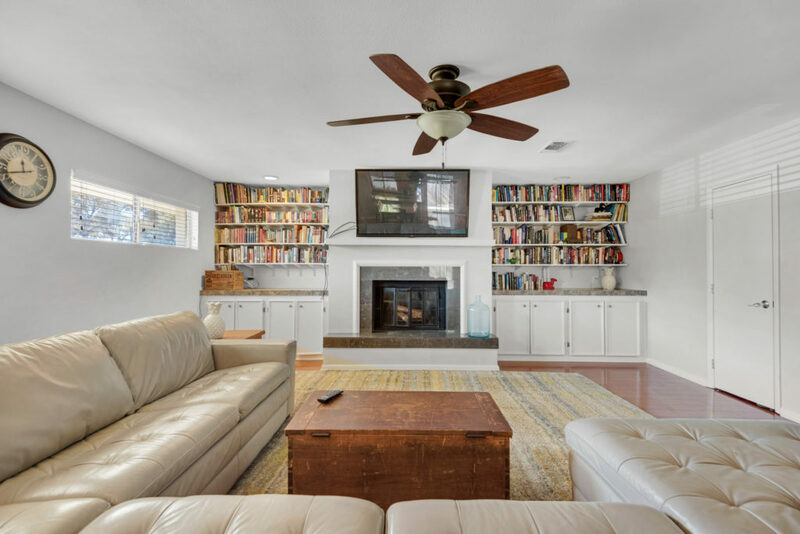 The living room has two ceiling fans and a corner gas fireplace adorned with a fabulous faux finish. The Villa di Mare penthouse condo has just been painted, and brand new carpet and many new light fixtures were installed. Outdoor balconies are almost 1000 square feet for enhancing your outdoor lifestyle. This is a lovely complex for owner occupants with only a few units and no short-term rentals allowed. If you desire elegant waterfront living and boating, then this top floor penthouse may be for you! Community pool. 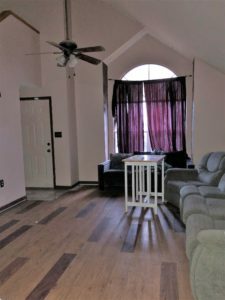 Accommodating access to Eglin Air Force Base, Fort Walton Beach Medical Center, Gulf of Mexico beaches, Crab Island, Fort Walton Beach Landing, regular Fort Walton Beach Farmer’s Market, free concerts, eclectic shops, library, Northwest Florida Ballet, Emerald Coast Science Center and more. This Fort Walton Beach penthouse condo with boat slip is stunning and unique. Lifestyle, water, boating, privacy – have it all. 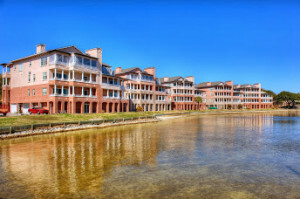 240 SE Brooks St., Unit E401, Fort Walton Beach Florida is offered for sale at $625,000. This short sale was only “short” to the junior lien, Bank of America. What does that mean? If a home sale nets more than a senior lien’s balance, they are paid in full, therefore they are not “short”. The junior lien will get whatever leftover proceeds there are after paying the senior lien and other closing costs, such as title insurance, commission, pro-rated taxes, state transfer taxes, etc. In many cases, the junior lien in this type of transaction gets a substantially higher payment than a regular short sale, where typically all liens are short. In a normal short sale, the senior lien will pay the junior lien a standard amount, such as 10% of their balance or a HAFA amount of $8,500.00, for example. 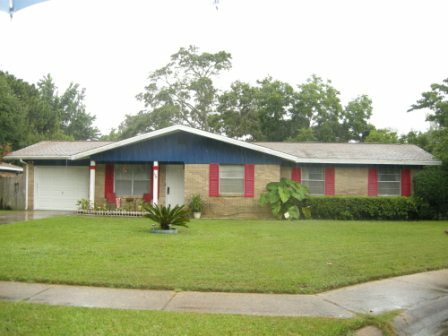 This Overbrook subdivision, Fort Walton Beach Florida, short sale netted Bank of America about $50,000, with which they were quite happy. They approved the sale in 45 days. The senior Green Tree loan was backed by Fannie Mae, which considers military PCS a long-term hardship, offering short sale as an option. We had to provide a copy of the PCS orders to Green Tree to support the case. 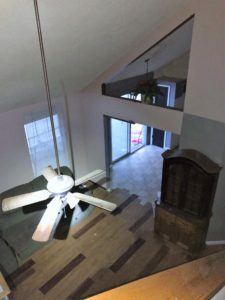 I always recommend providing as much detail as possible to justify a hardship in a short sale situation, so we send in PCS orders automatically. 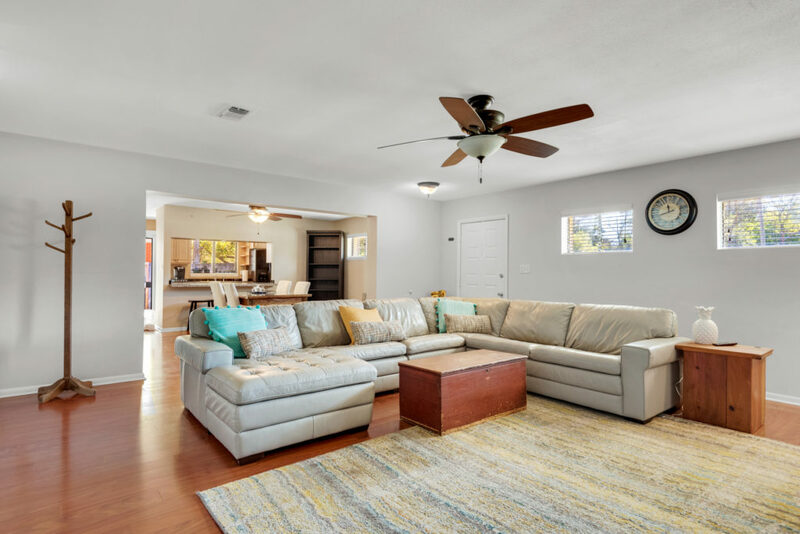 Both the senior and junior lien for this Fort Walton Beach home were approved within 60 days. There was no deficiency judgment, no cash contribution and no promissory note due from the seller. 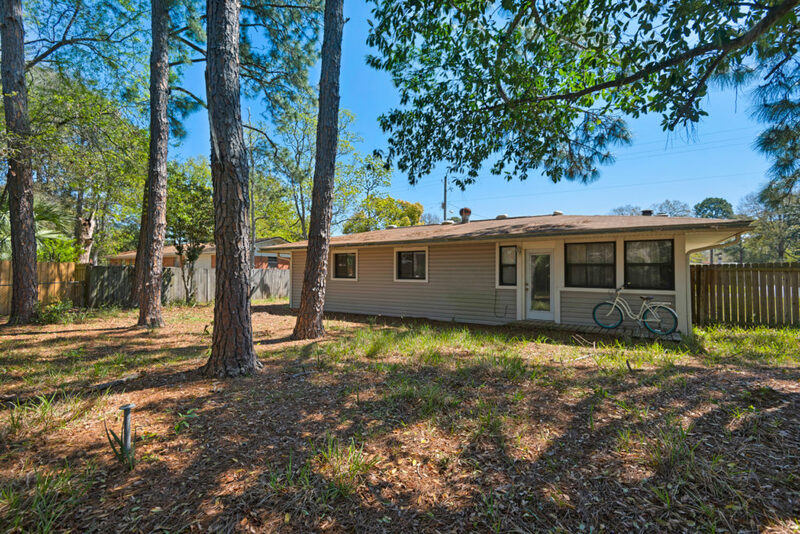 334 Victoria Ave., Fort Walton Beach Florida sold for $135,900. If you are in a military PCS situation and are considering short sale, if your loan is not backed by VA (VA Compromise Sale), find out if your loan is backed by Fannie Mae. Here is the link to the Fannie Mae loan look-up. If it is a Fannie Mae loan, you can contact the Fannie Mae Help Center or give me a call to discuss your options.